When I sat down to write this month’s post about Cantabria, I didn’t feel inspired. I made it a point to get to Northern Spain one summer between summer camp in Galicia and summer camp in Castilla-La Mancha, but my trip left me far less than impressed. In fact, I called a post ‘Santandisappointed.’ Looking back, it may have been the crowds, it may have been traveling alone, it may have been my timing. That’s why I’m offering the floor to my friend Liz Ferry, who has not only studied in the capital of Cantabria, but has also work their as an auxiliar. In fact, she loves the region so much, she left Andalucía to head back to a place where surf and turf exist together. Cantabria and I go way back – back to the American crisis of 2008, when I studied abroad in Santander, Cantabria, and literally spent every penny I had, thanks to the exchange rate at the time. But apart from losing all my money, I fell in love for the first time in my life, and it was with a place. I later moved here in 2011, and with the exception of a one-year fling with Seville, I have stayed here ever since. 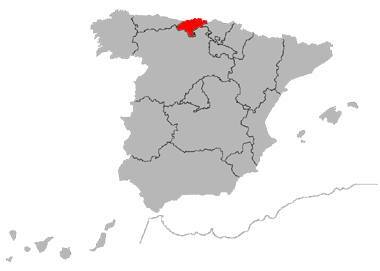 This tiny region is often considered by other Spaniards as cold, rainy, windy, and full of boring, sosa people. 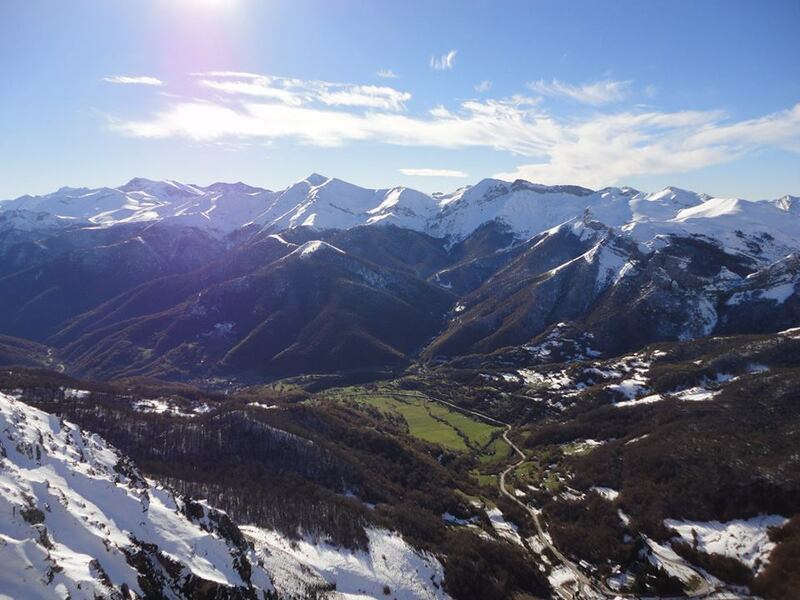 Our semi-Irish winters, however, make for an incredible landscape, with views of the Bay of Biscay, the Cantabrian Mountains, and the Picos de Europa. About Cantabria: Cantabria is a little-known region of Spain, which climate and landscape-wise is more similar to Ireland than it is to the interior and south of Spain. It’s known for its cold, rainy, and windy winters, and its mild summers, in which we hope to get enough good beach days to enjoy all the hidden corners of the region. Cantabria is also a Celtic region – along with Asturias, it was one of the last regions to hold off the Roman Empire from invasion. Must-sees: The capital, Santander, is a small city of about 180,000 people. It’s home to one of the vacation palaces of the royal family, the Palacio de la Magdalena. There are great walking paths on the grounds of the palace that offer some of the city’s best views. 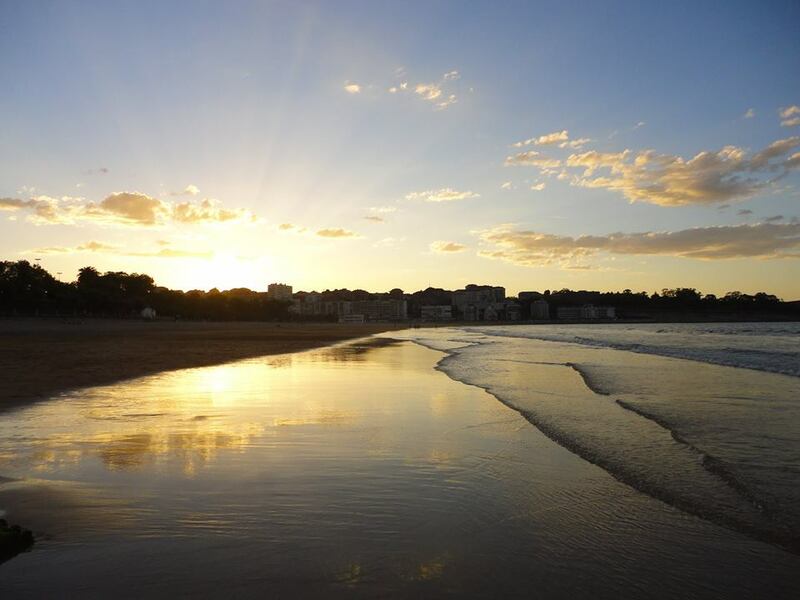 From the palace, continue to the Sardinero beaches, Santander’s famed beaches that offer lots of activities nearby, such as a luxury casino. Continue walking along the coast to arrive at the cliffs, Cabo Menor and Cabo Mayor. Cabo Mayor is home to the main lighthouse, and provides the city’s best sunset views. Santander also holds a Semana Grande festival every summer, the week leading up to the Day of St. James (July 25). The atmosphere of the city does a 180 – people are eating pinchos and drinking wine or cañas in the streets and at casetas, and there are free (and not-free concerts) every day, tons of activities for people of all ages, fireworks over the sea, bullfights, and typical fair rides. 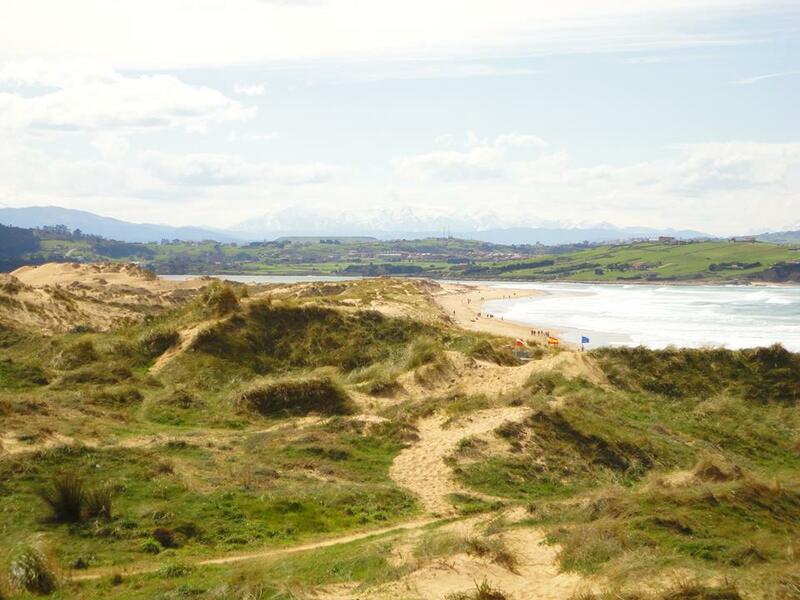 For seaside enthusiasts who prefer a quieter scene, Cantabria is full of beautiful, natural beaches and coves. San Vicente is a fishing village with sea and mountain views, and the beautiful Playa de Oyambre is right next door. Suances is a tourist hot-spot in summer, with its plentiful beaches and mountainous landscape (it’s also where I work!). Liencres is my personal favorite, home to the Dunes of Liencres and a hidden, rocky cove beach called Portio. Castro Urdiales is a popular beach town near the border of País Vasco, which makes for a quick commute to Bilbao for a night on the town. 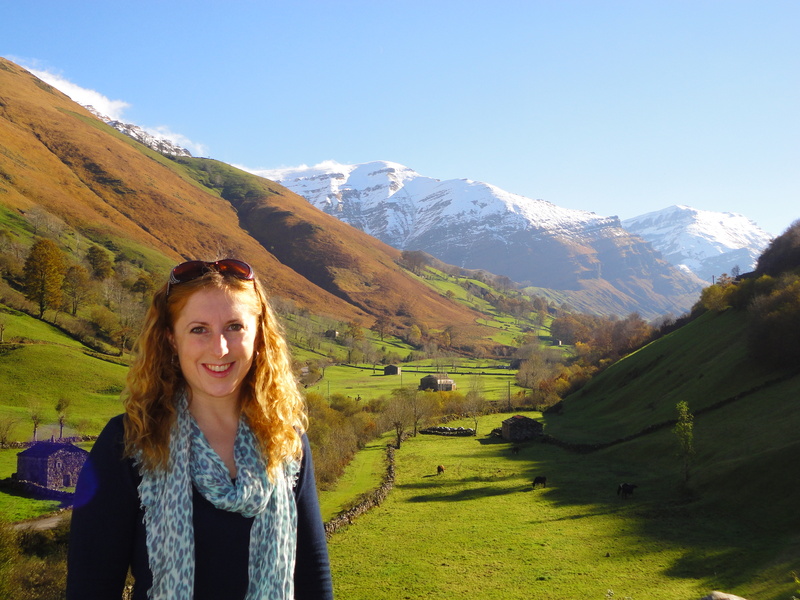 For mountain lovers, Potes is a must, with its cobblestone streets, cider, and proximity to the Picos de Europa. Fuente Dé is nearby, where you can catch a cable car into the Picos de Europa. San Roque de Riomiera, further off to the east, has breathtaking mountain views, as does Vega de Pas, a small town in the Valles Pasiegos. For a historical visit, head to Santillana del Mar, the town of the three lies (if you break apart it’s name in Spanish, it means Holy Flat Land of the Sea, but it’s not holy, it’s not flat, and it isn’t on the sea). This well-preserved medieval village has become quite touristy, but for good reason – it’s like you walked into the Middle Ages. The famous Altamira caves are nearby, although most people are only allowed to see the replicas. For other caves with cave drawings (that are even older than those of Altamira), go to Puente Viesgo, a small village also famous for its churros con chocolate. No Cantabrian experience is complete without a gastronomic tour. 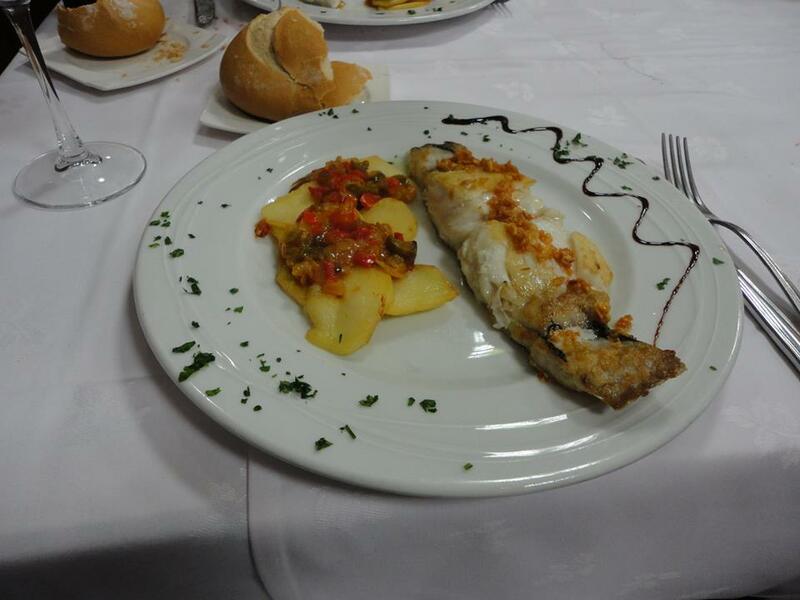 Cantabria is famous for its seafood and fish. Fresh-caught fish and seafood from the rough waters of the Bay of Biscay are served up daily throughout the region. Santander even has a whole barrio full of such restaurants, the Barrio Pesquero, where you can get a menu del día for 12 euros. Foods specific to Cantabria include cocido montañés, a typical bean dish, sobaos, a light breakfast pastry, and quesada, a cold, dairy-based dessert. After a weekend lunch, you can see scores of cántabros taking a shot of orujo, a liquor made in Cantabria. My take: I’ll take an Irish-like winter any day in order to have the beautiful green views intertwined with the Bay of Biscay. If you’re lucky enough to see Cantabria on a sunny day, you too will fall in love. 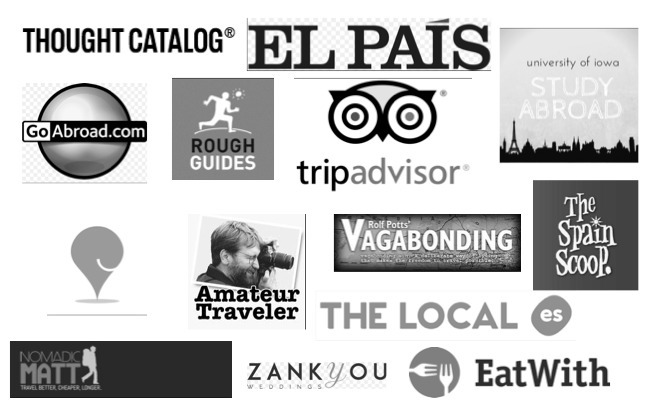 While we do prefer to keep it relatively unknown and to ourselves, I am proud to boast about my tierra Cantabria. Once a Yankee, always a Yankee. Have you been to Cantabria? What are your thoughts? Check back at the beginning of October for the next installment, Castilla y León.